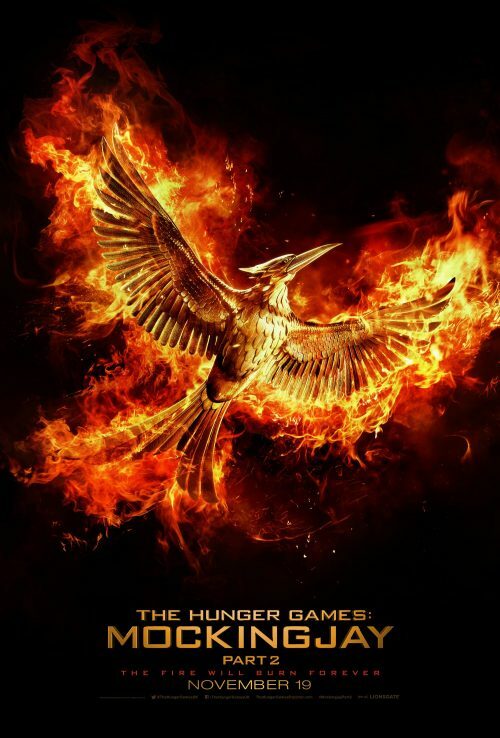 A couple of days ago saw the launch of the first teaser poster for the 2nd part of The Hunger Games: Mockingjay films. Along with that saw a short poster reveal trailer. The launch trailer doesn’t give that much away, visually at least but it does leave you wondering what will happen. The voice over is a mix of the last films as well as a hint on what’s going to happen in the final part. Without further ado, I give you the first poster for the final part of Katniss’ journey from District 12 to her final role. The film will be an amazing set of shocks and twists. If you have read the book you will know what I mean by that. I’m not going to be giving away any of the amazing plot twists that this film will throw up. This is for the readers who haven’t read the book. We have already seen the first, major, shock in Mockingjay at the end of the first part… There are many more to come! With the nation of Panem in a full scale war, Katniss confronts President Snow in the final showdown. Teamed with a group of her closest friends – including Gale, Finnick, and Peeta – Katniss goes off on a mission with the unit from District 13 as they risk their lives to stage an assassination attempt on President Snow who has become increasingly obsessed with destroying her. The mortal traps, enemies, and moral choices that await Katniss will challenge her more than any arena she faced in The Hunger Games. Mockingjay’s teaser trailer teaser trailer!